At some point on March 18, 2018 the biggest ever sign up bonus on the United Explorer Business Card will end. I’m guessing you’ll have until the end of the day on Monday, March 18 to apply, as on united.com (as of Sunday evening, March 17) there is a banner that reads “75k BONUS MILES, 2 DAYS LEFT– OFFER ENDS 3/18. The bonus of 75,000 United miles for spending $5,000 on the card within three months is enough for a Business Class flight one way to many places in the world like southern South America, Europe, Africa, and more. It’s the most bonus miles that have ever been offered for this card. I’m not sure if I qualify for a business credit card. People say this to me all the time, and my answer is always the same. No, your business doesn’t need to make money. 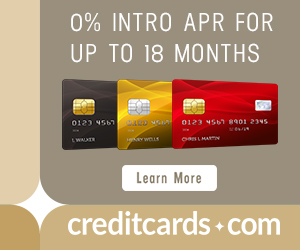 Brand new businesses need credit cards too. No, you don’t need to have employees. No, you don’t need an EIN. You can open a business card under your own social security number as a sole proprietorship. I think it’s only fair to give warning that Chase has gotten much tougher about issuing business cards as of late (in comparison to other banks), often asking for further proof of your business. From what I’ve seen it’s easier to get approved if you have an EIN as opposed to just using your social. That being said, I have a close friend who just got approved for the Ink Business Preferred Credit Card for a fledgling small business of hers, with no EIN and just her social. Read How to Get Approved for Business Cards to learn more. 5/24: If you have 5+ new credit card accounts with any bank (not counting most business cards) in the last 24 months, you will be denied for pretty much all of Chase’s credit cards. 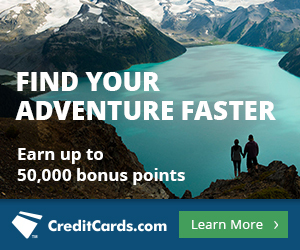 You can only get the bonus on the same Chase card once every 24 months. This 24 month clock starts when you got the last bonus (which may be several months after you got the card). The exception to this rule is with the Sapphire Reserve and Preferred, as noted above, which you must wait 48 months between. You probably shouldn’t apply for more than two personal cards or one business card in a 30 day period. A safe limit is one business and one personal card within 90 days. Chase is known for denying people who apply for more than that. A common reason for Chase denials is too much credit extended to you already by the bank. Consider lowering credit limits on existing cards, or if you end up with a denied response on an application and call the reconsideration line as a last stab effort, suggest the rep shift existing credit of yours from one card to the new one you want. How much credit is too much? Anecdotally, 50 to 60% of your total annual income is the maximum. At some point on Monday, March 18, the 75k offer for the United Explorer Business Card will disappear. Take action if you want a big boost to your MileagePlus account. I applied on Friday, received a pending decision, and called the reconsideration line (800-453-9719, open 1pm to 10pm Monday to Friday). Turns out Chase just needed to verify my identity, which they did with a series of security questions. I still need to fax Chase a copy of my driver’s license to finish that process… fingers crossed for an approval! It’s a good 11 month card and ur right BOA wanted to see my tax returns as in NO !!! !